These films present pure sensual pleasure unfettered by story, character and other left-brain constructs. In other words, this stuff is beautiful. 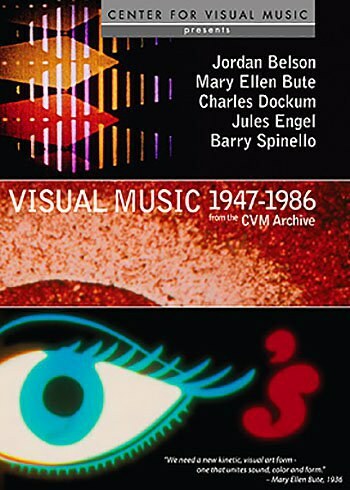 The Center for Visual Music (CVM) in Los Angeles is a nonprofit film archive devoted to preserving and promoting the avant-garde, animated and abstract media that it calls "visual music". CVM's new DVD showcases films from five American artists. At their best, which is often, these films present pure sensual pleasure unfettered by story, character and other left-brain constructs. In other words, this stuff is beautiful. Perhaps we should say Bute-iful. Mary Ellen Bute was a major filmmaker and a pioneering woman film artist who needs to have her output collected in one handy package, if anyone's listening. 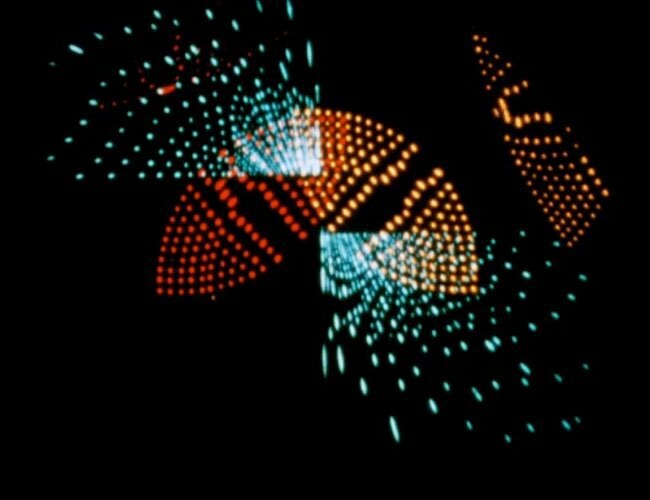 She did many things but is best remembered for films that illustrate musical works with abstract animated colorful shapes, a phenomenon associated with Oskar Fischinger and the Bach segment of the film he influenced, Walt Disney's Fantasia (1940). This DVD offers three films made by Bute with her producer-photographer husband, Ted Nemeth. 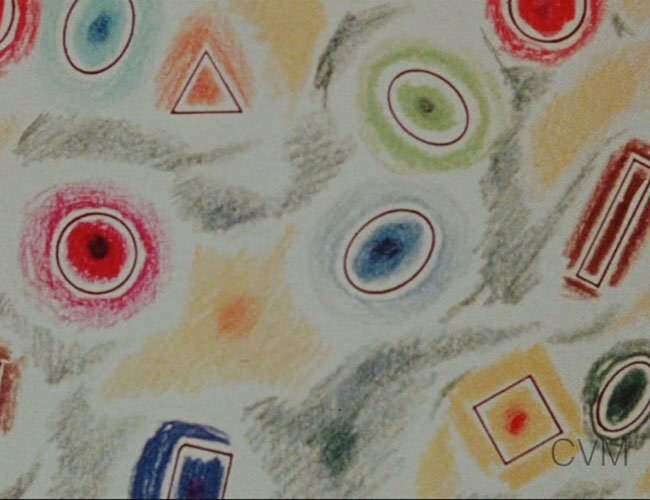 Polka Graph (1947) spins a geometric dance of squares, lines, asterisks, ghosts and skylines to Shostakovich's polka from his 1930 ballet, The Golden Age. Color Rhapsodie (1948), which seems to invent previously unseen colors, prints footage of fireworks into gorgeous contortions to Liszt's Hungarian Rhapsody #2. Discerning musicologists and film buffs will recall this piece from Tom & Jerry's The Cat Concerto and Bugs Bunny's Rhapsody Rabbit, which had duked it out on theater screens the previous year. It can never lend itself to too much animated anarchy. From 1952, Abstronic pairs two hoedown-ish pieces, the actual hoedown from Aaron Copland's Rodeo, and a similar piece from Don Gillis, an under-recalled "pop" classicist who made heavy or rather light use of American vernaculars. In the visuals, a central melodic line is represented by repeating figures or squiggles against backgrounds of falling or floating and a visual motif that looks like falling scythes to cut the hay. It ends on galactic spirals. Another important filmmaker, Jordan Belson, is represented by three works evoking Hindu and Buddhist mysticism over gong sounds. Mandala (1953) uses pointillist style to create shifting circles that remind us of planets, cells and symbols. Meditation (1971) begins with white motes and sparks against a blue background, leading to smoke, water and lava imagery while the gong shimmers like chimes beckoning a wayward voyager. 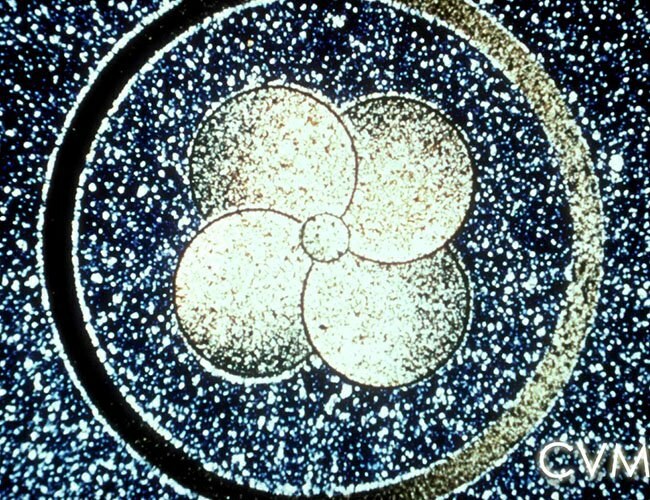 Chakra (1972) begins with a mushroom cloud contained in an orb, this destruction transitioning to blue/red rebirth in water imagery until we close on a yellow eye-sun. Demonstration of Mobilcolor Projector (1966) conveniently explains and demonstrates an invention: "a new approach to the art of light and motion by Charles Dockum, illumination engineer". Dockum's complex projector uses four frames, each projecting a color-coded "theme" like part of a Rorschach blot. They can be superimposed in various combinations, and also each frame can rotate through 360 degrees. The result is "a marriage of art and science for color symphonies". The two silent films demonstrating the technique, dating from 1952 and 1969, exhibit a bi-lateral tendency that recalls kaleidoscopes and the Stargate sequence in 2001: A Space Odyssey (1968). 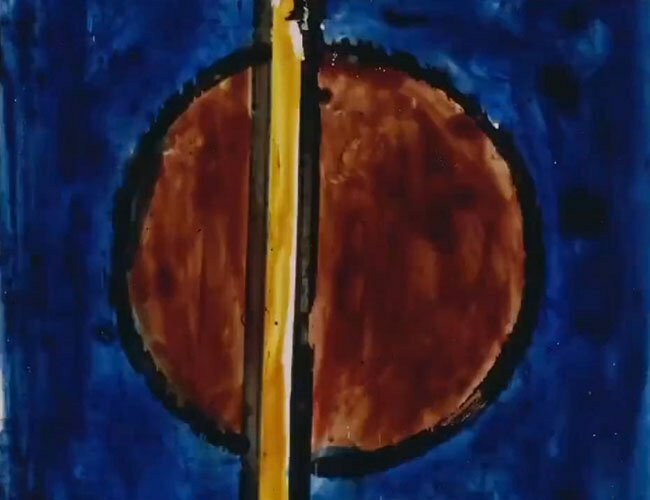 Barry Spinello's Sonata for Pen, Brush and Ruler (1968) doesn't involve photography but painting directly on the film stock, as in some works of Harry Smith and Stan Brakhage. It's a dance of lines, shapes, colors and a few words. In theory, there's a soundtrack, but it sounds only like the random popping of dirty sprocket holes. This film is as visually dazzling as anything else, although that soundtrack is a challenging tic. The final three films come from Jules Engel, a multi-talented artist who actually worked on Fantasia and later at the pioneering UPA Studio. Landscape (1971), mostly red and blue flashes with metronomic throbs, isn't recommended for epileptics. If that's a bit daunting, his last two items are oriented for bald pleasure. Mobiles (1978) and Play-Pen (1986) are unabashed celebrations of modern art with music. The first film collates lines and dots into a Calder mobile to lovely ringing tones by Barry Schrader. The second film evokes Mondrian and others with abstract geometries to convey what their work would look like with movement. Rob Miller provides a virtuosic guitar score in several styles. These films are about pleasure and accessibility, proving what seemingly needs proving over and over, that avant-garde cinema isn't about baffling and annoying people. This collection could only have been improved by being longer and offering liner notes, but what the heck. Most DVDs don't offer this much beauty. Images courtesy of Center for Visual Music.